Best window cleaning resources for professionals. What are the best window cleaning resources for professional window-washers? If you are thinking about starting out in the window-washing business, and you are searching for a place to start the research and planning, you will find the following information helpful. When starting your cleaning business many professionals advise having a backup set of window cleaning equipment, to save money upfront, and save you the hassle of replacing a tool in the event you need to. Purchase two sets upfront, so that you have a duplicate of every tool used on a daily basis. Be sure to have a certain scale of resources in place from the start, before signing any job contracts. The cleaning equipment department of your local Home Depot or Lowe's offers a dizzying array of choices in squeegees. Before you choose, do your own research into all of the points listed above to find the best resources. High quality tools are expensive, but it is fairly easy to find closeout, end-of-season sales, or pick up good quality, gently-used window cleaning supplies at decent prices. Most of the business systems your window cleaning service needs can be obtained online. Begin by researching business legal requirements online for your region. 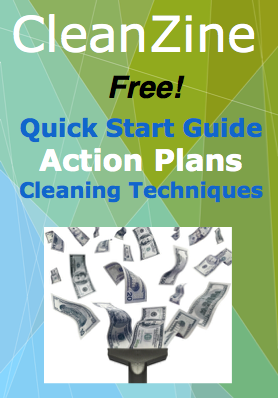 You should find a cleaning business mentor with a system you can follow. Mentoring with a reliable resource is the best way to learn what you must know to succeed, and to be up and operational in a very short time. It is up to you to determine the pace at which your business will grow, and to choose the scale to which you want it to develop. Are you only going to clean windows on one or two-story homes, three to five-story office dwellings, five to ten-story office buildings? Is your goal to eventually climb up where only birds dare go, and clean the windows on skyscrapers? Each of these scales presents a different business model in terms of how the window-cleaning service is launched and operated day to day. They each in turn require entirely different sets of cleaning equipment, licensing, and insurance. How quickly do you need (or desire) to scale-up to the next size of window-washing service? Consider the future path of your window-cleaning business. Do you intend to take on one or two-story jobs for one year to gain experience and get professional references, after which you will begin to scale up to the three to five-story size? What are your business projections for one year, three years, five, ten, and so on? This line of questioning is a central part of business planning for your window cleaning service business. Bear in mind the marketing resources needed to launch and sustain your window cleaning business. Many new window-washing services rely altogether too much on word-of-mouth advertising while negotiating the “iffy” start-up phase. It is iffy because there is a steep learning curve to getting this business off the ground. They persist on believing that their business will grow and win contracts solely through word of mouth, due to their superior service. Rarely can any new business count on that method to work. The reason it is problematic to launch a business that way is that it takes so long. Few startup business-owners have that sort of patience, nor can they afford to take a whole year generating the income needed to pay the bills. Successful, sustainable businesses build momentum from the start. The only way to accomplish this is to hit it hard and fast with direct marketing for short-term business.